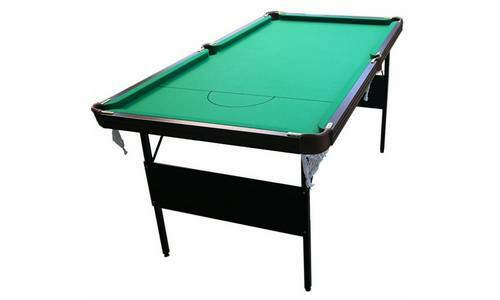 We have a number of Foldaway Snooker Tables and Foldaway Pool Tables in stock that are not on our web site for clearance. 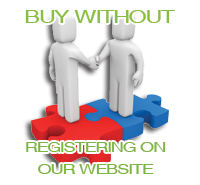 Please contact us for more information on - 01282 612669. 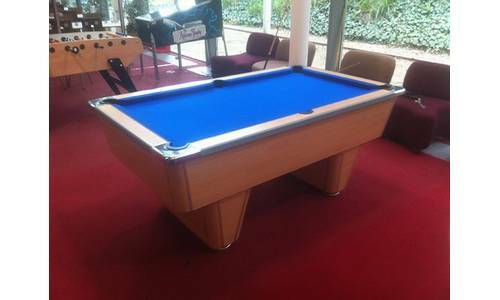 From manufacturing quality Snooker and Pool Tables, supplying a vast range of Snooker and Pool products nationwide, and recovering and repairing Snooker and Pool tables accross the North West, North Yorkshire and Cumbria, PLC Billiards offers a comprehensive Snooker and Pool table service. If you have any queries or cannot find something you are looking for, please do not hesitate to contact us. We are always happy to help. We have a selection in stock of Snooker and Pool Accessories including rest heads, dust covers, chalk for snooker and pool cues, snooker and pool balls, snooker and pool table brushes, and table parts. We also have a large range of snooker and pool spares such as snooker replacement nets (bag style), snooker ring nets, snooker nets with leatherette and pool table nets. The snooker and pool ring nets will also fit our snooker ball rails. We have top fitting snooker pocket plates or the invisible type used with our new moulded snooker leathers, available with standard sizes such as Broad Bow snooker leathers, Narrow Bow snooker leathers and Small Bow snooker leathers. We also now have dining moulded snooker leather pockets for use on most Riley dining snooker tables. 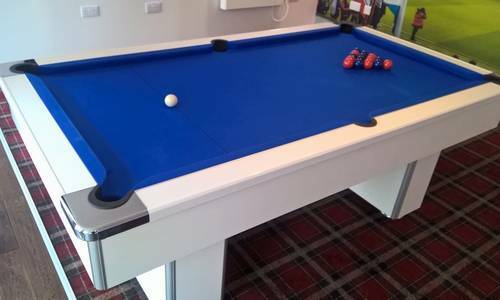 We are always adding new Snooker Table and Pool Table products on a weekly basis, but if you do not see what you are looking for please contact us for more information either by phone or email. 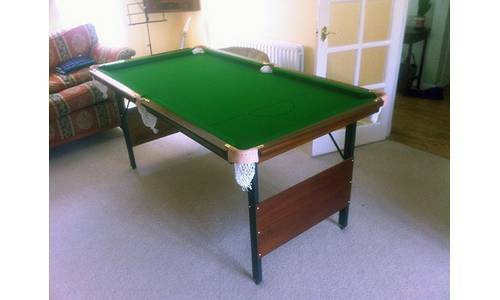 Snooker Table repairs is also part of our service. 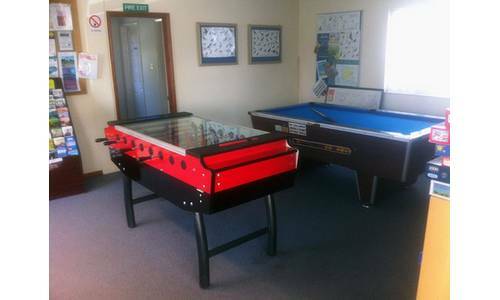 We also specialize in making small foldaway snooker tables and foldaway pool tables for home use. These are easy to store and are made to last using only the finest materials with lively rubber cushions and our superfine snooker and pool cloths. Our hand made foldaway tables are designed to be Solid, Push-Proof and Wobble-Free. 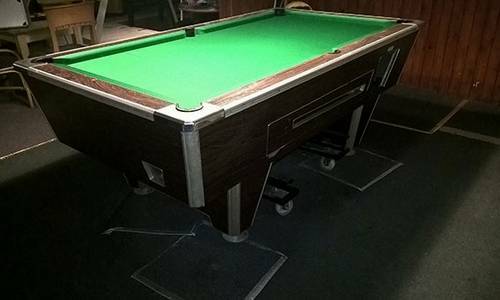 Should the need arise all our Snooker and Pool Tables can be recovered and repaired,unlike the imported tables, you won't get a better price for the quality and standard we set! 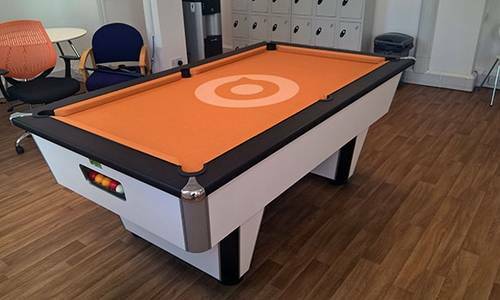 Our pool tables are individually made to maintain perfection as over the years we have invested in new technology and improved the quality of our products and also kept the prices more affordable. 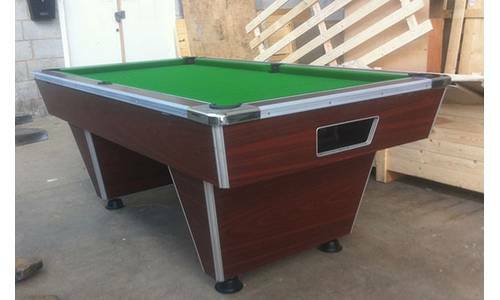 We specialize in solid woods and real wood veneered boards such as Oak, Ash, Sepele and Beech to make your perfect Pool Table, all these pool tables can be recovered and repaired should the need arise if it is for the home then it should be a long time before there is any need for it to be recovered unless you play with no tips on your cues. 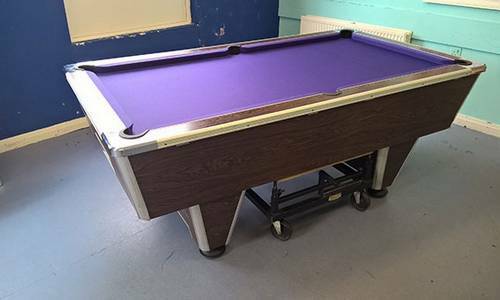 We also offer a pool table recovering service throughout the North West of England, Yorkshire and Cumbria. Our pool table recovering service covers all areas in the North West, North Yorkshire, Staffordshire, Cheshire and Cumbria probably the best pool table recovering service in the north West plus parts of South Scotland we specialize in Supreme and Superleague pool tables and carry stocks of Pool Table Pocket Liners, Pool Table Gully Boots, Snooker and Pool table ball runs or rails, Pool table cushions, snooker cushion rubbers with pool table cushion rubbers, Cushion Parts, not forgetting the Pool Table Cloth with various colours Blue, Red and Green should you need any other colour please let us know and we will do our best to get it for you, Have your own logo printed on your pool table ask us for details, if you want to recover your own Pool Table then go to our Pool Table Parts Page where we are constantly updating with new items if its not there then call us as we haven't got around to listing everything. We have a selection of snooker cues and pool cues from 36" to 57" from your Standard Rack Cues from 1pce snooker cues, 2pce snooker cues and 3/4 snooker cues, 1pce pool cues, 2pce pool cues, 3/4 pool cues, the choices of snooker pool cues are Ramin, Maple and Ash with either Rosewood or Ebony finish for Amateur to Professional, we sell custom snooker cues and pool cues, all snooker and pool cues have Tip sizes between 9.5mm to 11mm with variable quality snooker and pool tips, most of our snooker and pool cues have Blue Diamond Tips fitted if you prefer Elk Master or Blue Velvet just let us know and we will see what we can do. Viper 2pce Pool Cue 57"